Linux is by far the most successful open-source operating system in the world; no dispute there. Really! I’m not just kidding with you. The only problem is that most of the popular applications are not compatible with Linux. Take Adobe Photoshop and Coral Draw for example. Both are reliable (and perhaps the two most popular) image editing software that don’t run on Linux (unless you set up a virtual machine or use Wine – both options are not ideal). First of all, let me start by saying that despite the above, Linux has actually come a long way with regards to compatible and available applications. At times your choices and alternatives may be overwhelmingly many, but in other cases you only have a handful of applications to choose from. When it comes to Linux image editors, there’s a decent number of options. While you may not be able to run Photoshop, Coral Draw and other Windows/Mac-oriented programs, you can still get your hands on a Linux image editor that delivers the same professional quality. 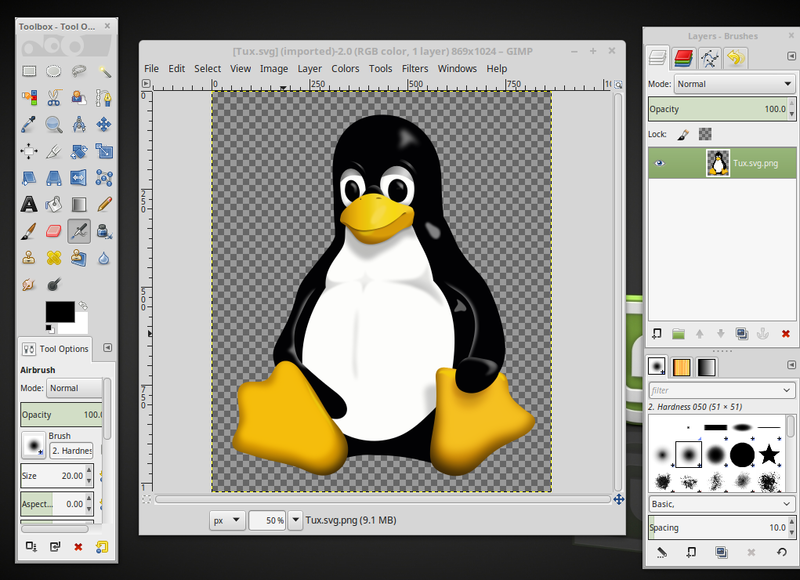 In this post we look at 7 of the best image editors for Linux users. Ready? Great, let’s get the ball rolling, shall we? And we will start with a comparison chart of our picks. Pretty much every review of the best Linux image editor has GIMP on its list. More often than not you will find it ranked first. Why? Because GIMP is to Linux what Photoshop is to Windows and Mac OS. 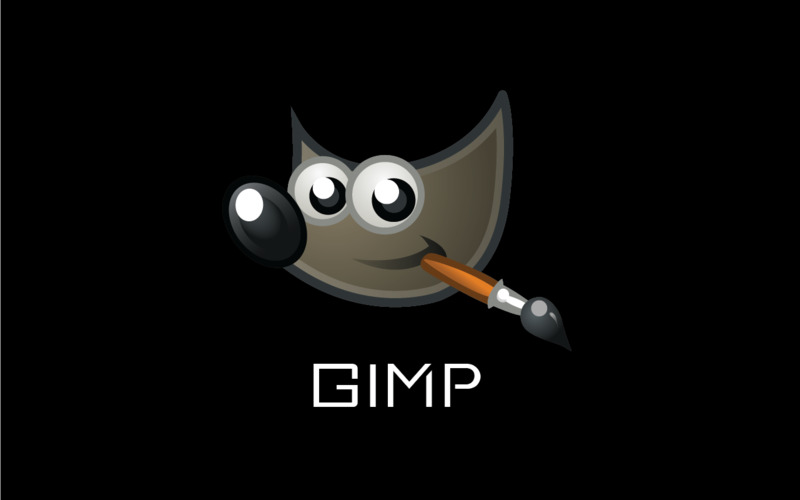 A free and open-source software, GIMP supports advanced photo editing. It has everything you need to edit, retouch, restore and enhance all sorts of images, be they photos, drawings or scans. You can also use it to create images from scratch as well as scanning and printing photos. Regardless of your application, this Linux image editor delivers professional-level quality that is comparable to what you will get from Photoshop. GIMP has a variety of fine-control tools. With features like paths, masks, layers and scripting, this software gives you ultimate control over any image. Plus it supports third party plugins, and that means you can modify it to suit your particular needs. Speaking of needs, GIMP can serve all types of users. Whether you are a graphic designer, photographer, graphical illustrator or even scientist, you will love its broad range of features and settings. It works on all Linux distributions and supports almost all file formats for images, including JPEG, .psd (Photoshop), .psp (Paint Shop pro) and PNG. That versatility is the reason why most designers who use Linux-based operating systems rely on GIMP for creating icons, graphical design elements, banner ad designs, and digital arts for consumer interface elements. The one problem you might face when working with GIMP is that its interface may seem too complicated to navigate, especially if you are a newbie to the software. But that’s expected for a software that packs as many features and functions as GIMP. Installing GIMP on a Linux OS is simple and straightforward. It works on a variety of Linux distros. Below is a step-by-step guide on how to install the software on various distros. To install GIMP on a Debian, Ubuntu or Linux Mint-based distro, go to Ubuntu/Mint Software Centre ad search for GIMP. Click on the install button and wait a few minutes for the program to complete installation. 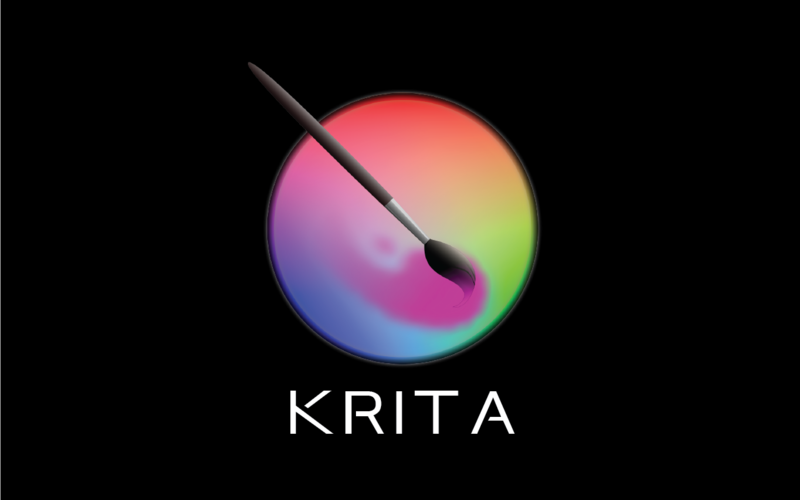 Krita is an open-source painting software that’s completely free for everyone. Although it’s excellent for manga and comics, you can use this Linux image editor for all kinds of drawings and illustrations. Plus it’s a cross-platform application that also works on Windows and MacOS X. You won’t get stuck when you have no access to your Linux machine. More importantly, Krita offers many common and some unique features that professionals and non-professionals can take advantage of. For starters it’s suitable for use with existing images as well as projects that involve creating art from scratch. That means you can either enhance photos and images or start a whole new painting, drawing or sketching project with a blank slate. Either way, you will have access to patterns and colors for filling the background. Besides, Krita supports addition of pluggable brushes. You can add brush files from other applications like GIMP or use brushes that simulate real life painting. In case of the latter you will be able to do color mixing as well as image deformation – both are handy for creative artists. To add to that, Krita supports graphics tablets, specifically Wacom tablets. In case you need to know, these tablets make it easier for artists, graphic designers and photographers to input various shapes, patterns and effects like tilt, rate and pressure (which would be tricky when using a mouse or keyboard). This feature makes Krita ideal for professional graphic designers and animators who desire to produce amazing artwork for blockbuster videos and games. 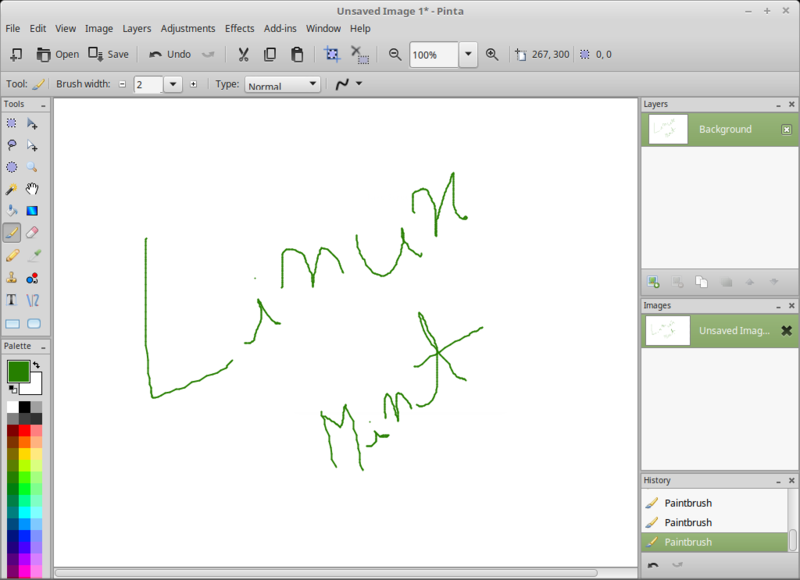 Like GIMP, installing Krita on a Linux OS is simple and straightforward. The process varies slightly depending on the Linux distro you have. 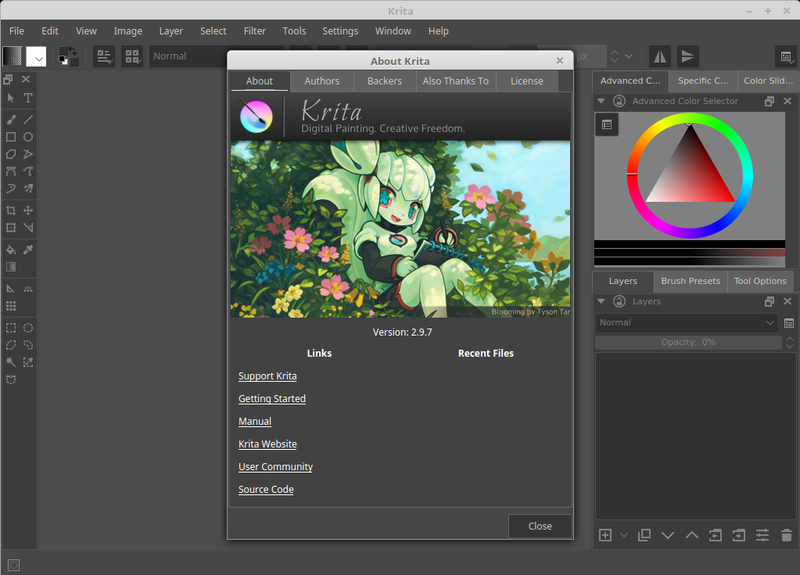 Krita is currently available for Ubuntu, Mint, Zorin and Deepin Linux software center. Simply visit the respective software center, search for Krita and then click on the install button. If you are running a Redhat or Fedora-based distro then you need to download the .RPM file from the link below and install it like any other .RPM file. 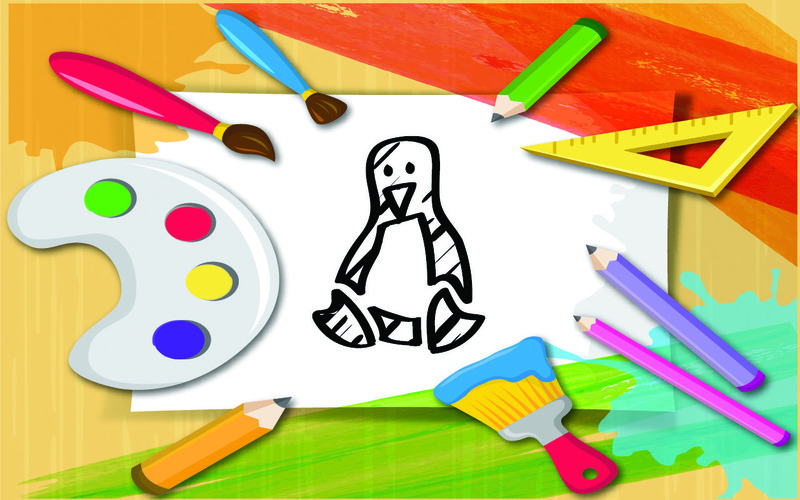 Pinta is a rich Linux image editor that’s highly reminiscent of Paint.NET. If you’ve had some experience with the latter you’ll definitely feel at home with Pinta. In case you’ve never used Paint you’ll still love how simple Pinta is. It’s a lot more lightweight than both GIMP and Krita. It has a nice and simple interface with some pretty decent functions. Some of the features that make it attractive include layers, layer transparency, custom palettes, effects (like distort, photo, blur and noise), and hue/saturation and auto level. It has over over 35 image effects. As you’ve probably already guessed, Pinta is far easier to use than GIMP. But it still has some oomph to it. With built-in tools for drawing, editing and adjusting images, you can rely on this program for tasks that don’t need a professional touch – like quickly cropping images, categorizing images, and modifying colors of photographs. Besides using Pinta to give your photos a vibrant look, you can also install it for kids to play around with it as they figure a way of perfecting their drawing and editing skills. In other words it is intended to serve as an alternative to more advanced applications like GIMP, especially for casual users. 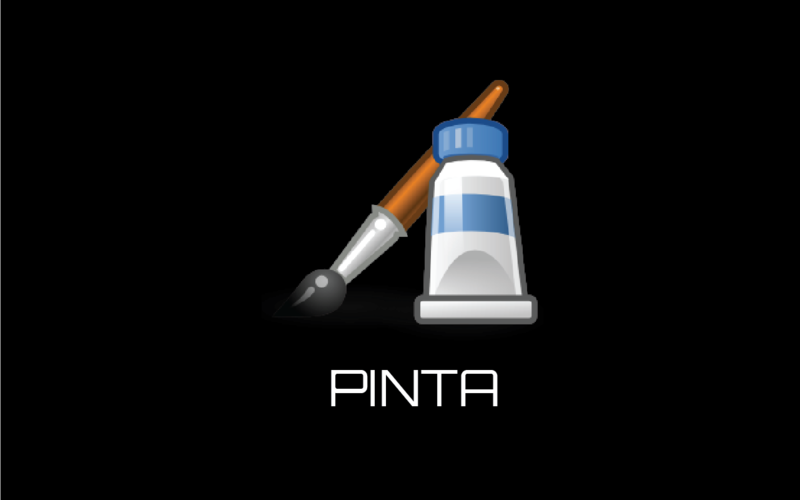 It might not win the top spot as the best Linux image editor (because of its limited functionality) but Pinta is still worth your consideration. You may want to know that it actually has more tools than Paint.NET. Install Pinta on Linux is really simple.Just Follow this steps. Pinta is readily available on the software centers of Ubuntu, Linux Mint, Zorin, Deepin and Peppermint. To install it on a machine using either of them, head over to your preferred application center, search for Pinta and install it by click on the ‘Install’ button. In case you are using a Redhat or Fedora-based distro then start by downloading the Pinta installation file from the link below and proceed to install it like you would install any other .RPM file. 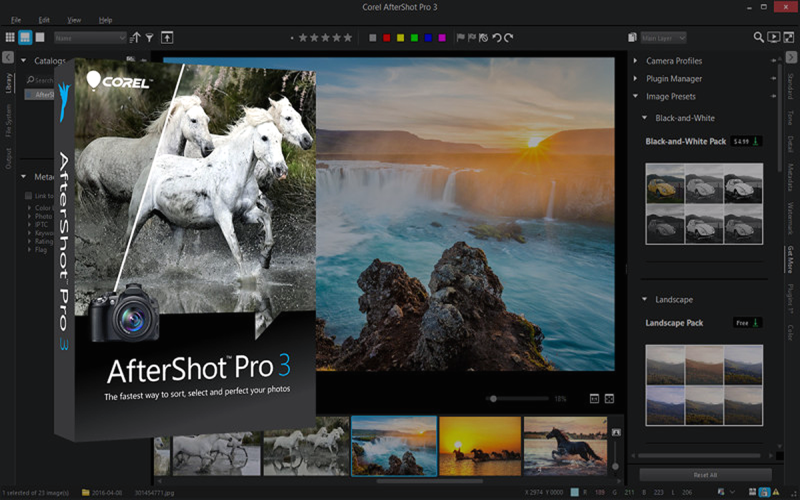 AfterShot Pro is the photo editor that express your exact creative possible and release you from excessive costs, limitless subscriptions and excessive time spent editing at your workstation. It efficiently performs Import, process, and output faster. AfterShot Pro is influential, speedy and very flexible. This editor delivers raw processing functionalists, pluggable photo workflow and managing photo editing. Built with an impressive selection of advanced and basic editing tools, this Linux image editor meets the needs of professional photographers just as well as it meets those of casual hobbyists. 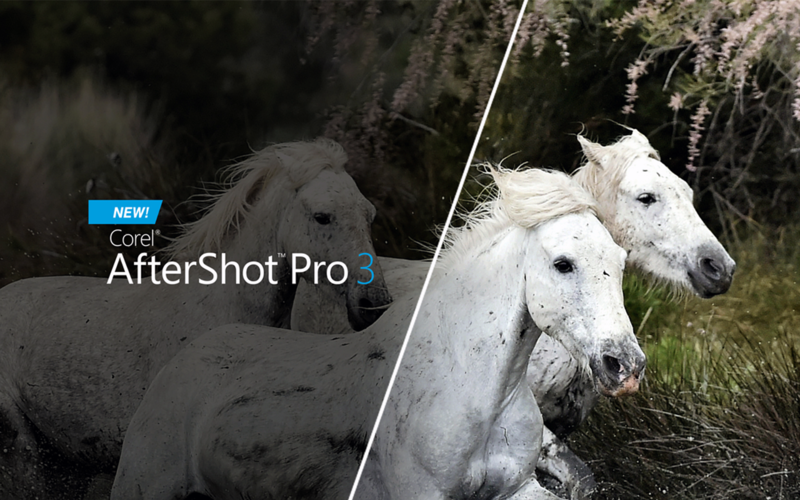 In terms of performance, AfterShot Pro gives you a great deal of control over images. You can perform basic tasks like adjusting exposure, white balance, contrast, saturation etc. Alongside those simpler functions you also get more advanced ones like tone curves, RGB color balance and hue/luminance/saturation for fine tuning images. Overall, this Linux image editor is a nice addition to your computer, especially if you are keen on sorting your images, editing them and exporting them for printing. You can also share images edited by AfterShot Pro or use them in other applications. Equally important, this program supports many plugins and allows you to edit metadata, insert watermarks and even use presets. 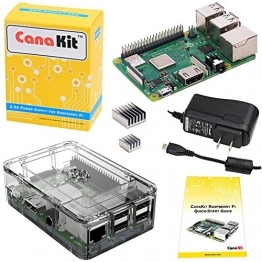 All those functions and features ensure that you don’t spend excess time on your workstation. As far as Linux software go, AfterShot Pro is currently available for Ubuntu only. To install, go to Ubuntu Software Center and search for ‘Corel AfterShot Pro’ and then click on install. With its growing popularity, it’s a matter of time before AfterShot Pro becomes available for more Linux distros. We will keep you in the loop about every supported distro. 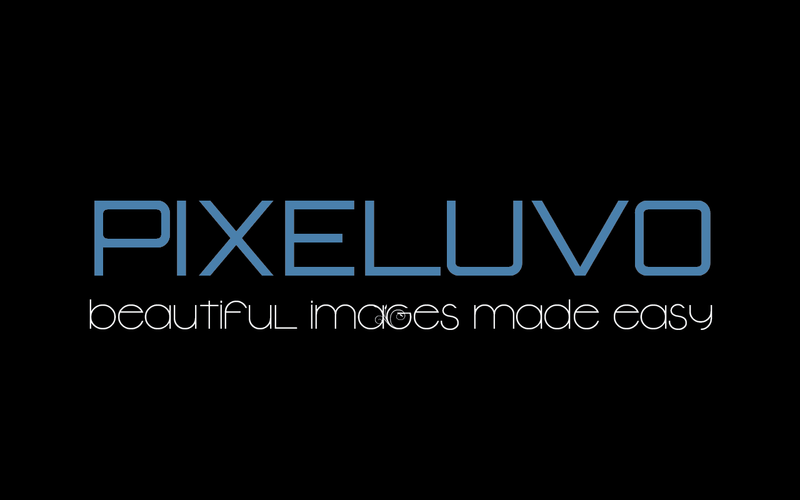 Pixeluvo is indeed a wonderfully planned image and photo editor. It holds a broad range of sophisticated features. Out of most important features, non-destructive editing via adjustment layers, full support for raw image formats, strong color alteration tools, reasonable pressure-sensitive drawing tools and so many image enrichment strainers are significant. Spend your time making your images look amazing through the user-friendly interface that connects with influential tools. 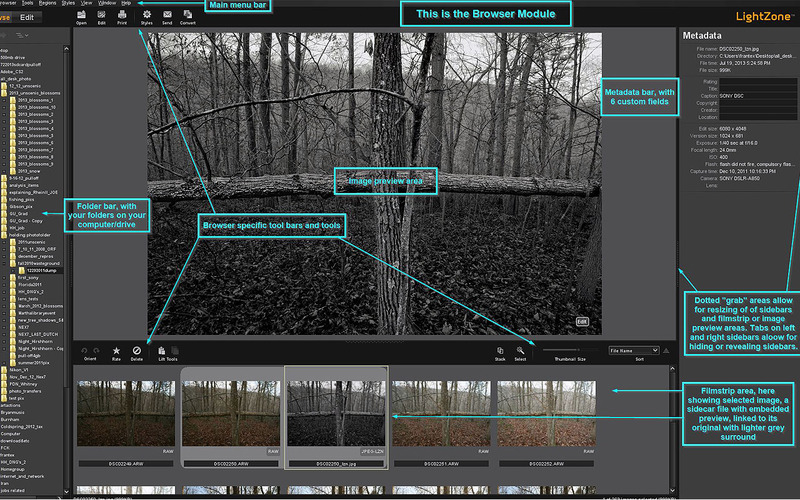 You can keep your modification editable by means of adjustment layers. Although it’s a cross-platform software, the Linux version of Pixeluvo can handle just about any image editing needs that you may have. From simple tasks like resizing and cropping photos to more complex ones that require the use of multiple adjustment layers. Those capabilities boil down to the software’s broad range of sophisticated features. Most notably, it allows non-destructive editing via adjustment layers, has full support for raw image formats, supports strong color alteration tools and features reasonable pressure-sensitive drawing tools. To put it in a simpler way, Pixeluvo offers almost the same advanced features that are synonymous with most high-end image editing software (like Photoshop) but with a simpler user interface. In sum, this Linux image editor offers a great alternative for professional-level tools like GIMP and Photoshop. While you won’t get the best features in the free version of Pixeluvo, you will still get a fast and modern image editor for your Linux computer. But your best bet is the premium version that offers all the features necessary for you to unlock your creative side. Pixeluvo is compatible with several Linux distros. Although the installation procedure varies slightly from one distro to another, the process is generally simple and straightforward. Pixelouve is currently available at Ubuntu Software Center. To install it on a Debian, Ubuntu or Linux Mint-based distro, head over to the Ubuntu Software Center and search for ‘Pixeluvo’. Once it comes up click on the install button and the program will install on your computer. If you have a Redhat or Fedora Pixeluvo-based distro then download the Pixelouvo .RPM file from the link below and install on your computer. Lightzone started off as a commercial software, but now it’s free and open-source. 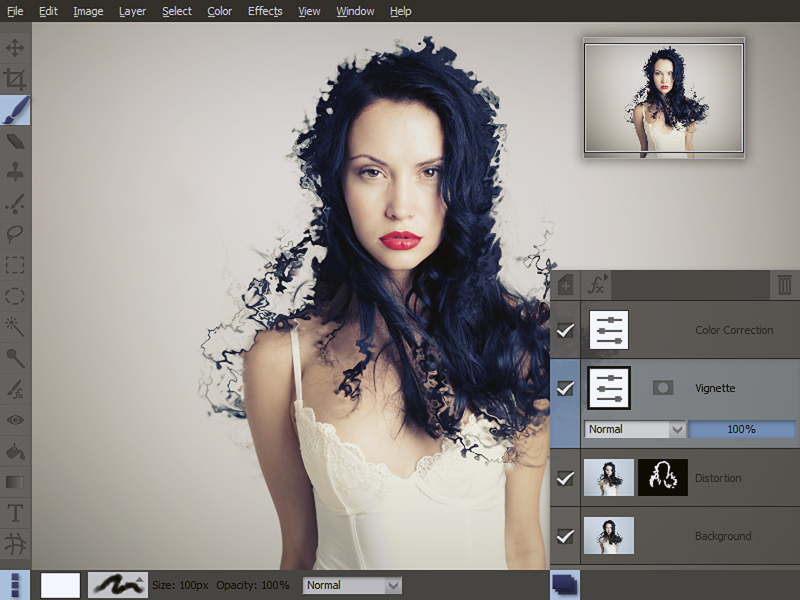 The beauty of this Linux image editor is that it allows you, not only to edit, but also create RAW profiles. Most RAW-editing don’t support user-created profiles. That’s precisely why Lightzone is rated among the best RAW editors alongside Adobe’s Lightroom. Built with a simple and straightforward interface, Lightzone offers both basic and advanced image editing functions. Getting started is as simple as opening the photo you want to edit and then choosing ‘Style’. There you will find a selection of editing settings for soft toning, SLR sharpening, skin glowing, scene brightening and so much more. While those effects are more than sufficient to a casual user, Lightzone offers many more that professionals may find useful. For example, when you click on ‘Sharpen’ you get settings for adjusting blending mode, threshold, radius, opacity etc. One of the handiest feature of this Linux image editor is that it allows you to change the order in which you want adjustments to be applied. That means you can arrange tone, saturation, sharpening etc. in order from the one that should be applied first to the one that should come last. Professional-level digital darkroom software is LightZone which acts on Windows, Mac OS X, and Linux as well.Under the umbrella of best Linux Image Editor, Lightzone is really amazing one. On the whole, it’s an excellent tool for making your photos look amazing, and it is totally free of charge. In case you need help you can either contact the good people at Lightzone or take advantage of the vast online community. Well, the latter is the better option because through discussions and forums you get to learn a lot about this amazing image editor. It has an active and growing user community that’s always ready to give newbies and experienced editors some tips and tricks of using the software. Lots of built-in effects like image sharpening, blurring, cloning etc. Gives control over brightness, contrast, hue, saturation, red-eye reduction etc. 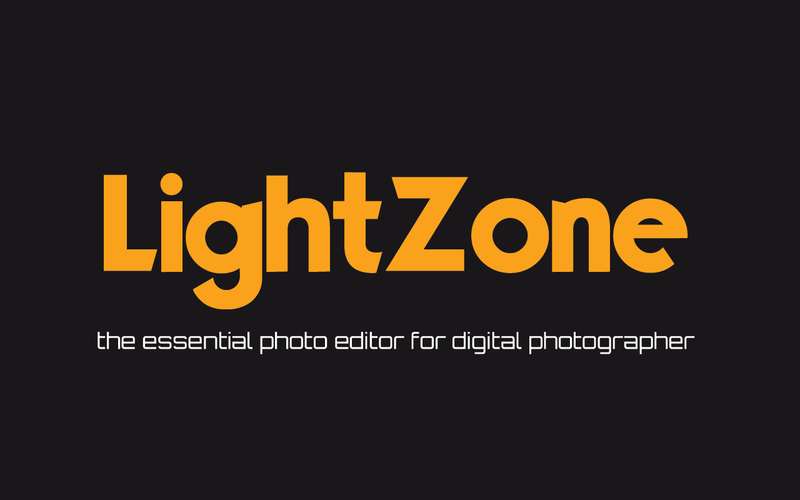 Installing Lightzone is pretty simple.Just follow these steps. Installing Lightzone on Linux is a breeze. If your distro is based on Debian, Ubuntu or Linux Mint then you will have to use a command line, there’s no way around that. Even so, the process is as easy as 1-2-3. Lightzone is currently not available for Redhat and Fedora-based distros. However, at the rate at which it is generating online hype it’s safe to assume that Redhat and Fedora-compatible versions will soon be availed. We will be sure to notify you when that happens, so check this page frequently for that update. digiKam was developed primarily for KDE but it works just as well on all other Linux desktop environments. As long as we are talking about OS compatibility, this image editor is actually a cross-platform software that also installs and works flawlessly on Windows and Mac systems. So if you find yourself away from your Linux PC you can still do a quick install of digiKam on the nearest computer and run it. But it really comes to life when used with a KDE Linux distro. That is because it has full support for KIPI (KDE Image Plugins Interface) – a feature that makes it possible to add plugins easily. Primarily a photo management suit, digiKam has everything you need to view, organize and edit images. We can summarize its functionality into four. As a photo organizer, this application gives you access to albums, sub-albums, sorting functions, image tags, metadata and comments. It’s also a photo editing software that lets you retouch images, auto-correct them, adjust their brightness/gamma/contrast, change white balance and play around with settings like curves adjust, color space conversion, black and white, inverter, color balance, depth, white balance and so much more. In addition to photo organization and editing, digiKam is one of the best photo importers around. Besides giving you access to images that are on your local disks and folders, this Linux image editor has support for over 1,200 models of digital cameras. It makes importing of photos a real breeze. Finally, digiKam also exports photos directly to various online platforms and social media. You can convert them to your desired file format before uploading. On top of that, the software lets you preview photos (after editing) before you upload or save. digiKam’s simple and intuitive interface is a definite attraction, but a more exciting feature is its open-source nature. There is an extensive community and support behind this Linux image editor. Though DigiKam is another great Linux image editor, it is fairly simple to install.Follow the instructions below. 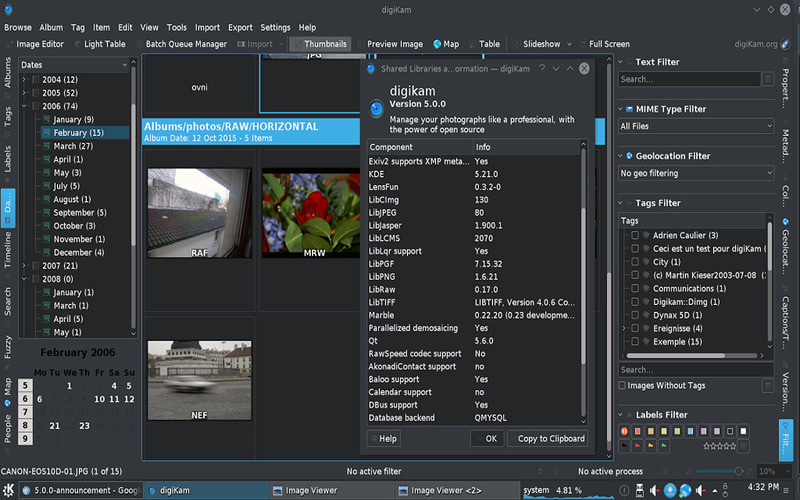 DigiKam is currently available on Ubuntu Software Center for free. 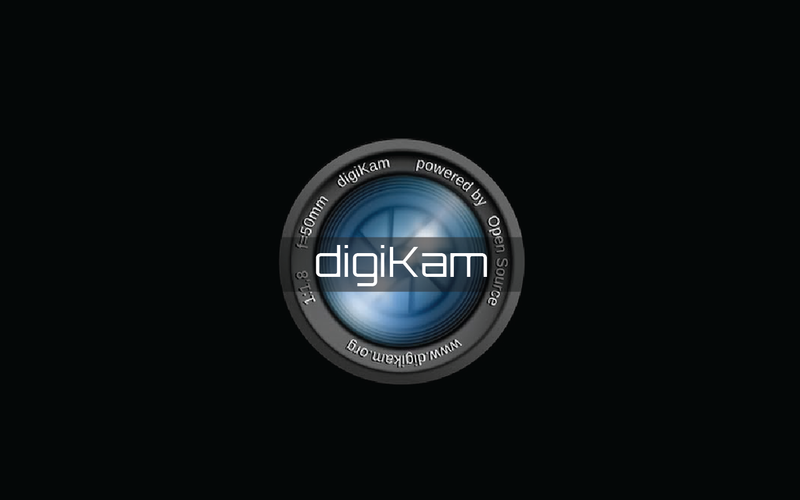 Head over to the Software Center and search for DigiKam. When the result appears, simply click on the ‘Install’ button. That’s my take on the best Linux image editors. Hopefully the article helps you narrow down the options to one that suits your needs perfectly. Are you a photographer, artist or casual image editor? Let me know the software you prefer the most and why. I will try and include as many as possible in coming reviews. Great list, but Darkroom is definitely missing here. Did you think of Darktable, axioma? Ouch, yes of course. Must have been sleeping or have a delusional attack when I wrote that. I am running Linux mint 17.1 when I install a theme on GIMP 2.8.14 it will work until I shut down gimp, but when I go to restart GIMP the program GIMP will not open. I see that other people are having this same problem. Does not seen to be limited to only flat_gimp_icon_theme_v_2_1_ any new themes I have tried also does this. Any ideas? Just wish there was a SIMPLE easy to use one that I can just put 2 pictures into one, side by side without having to go through a bunch of gobbly-gook thingy about layers. Just want to open a pic, and splice in a second one right next to the first one on the same page (?) and have them auto adjust for size so I can print both on the same paper if I want. And NOT have to set printer settings to do it. This is amazing guide i found here. The step for installation process with application review is really impressive.